Micro drills are very small carbide drills. They are sold in sets as shown above. 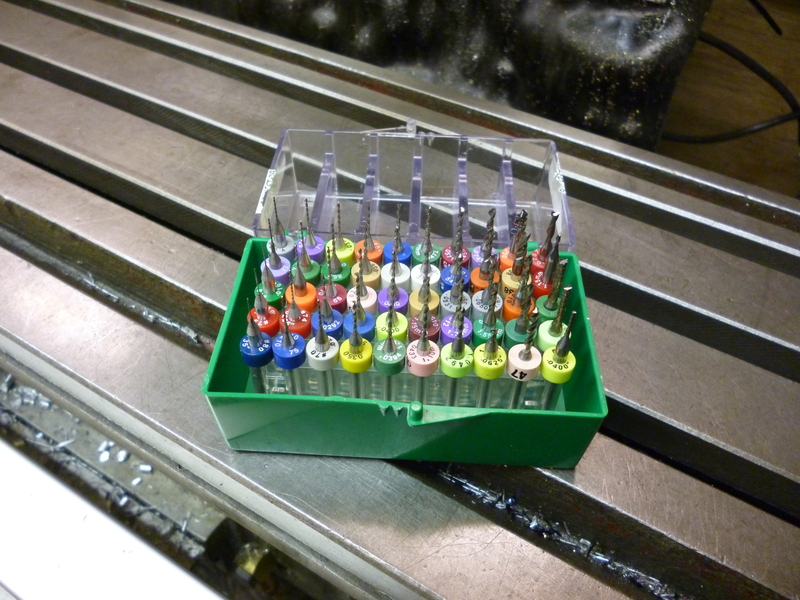 A set like this contains drill from about 0.05mm up to 1.00mm. They are readily available on eBay for a very modest price. The are not new but are said to be refurbished. The smallest size is about 0.05mm. This is smaller than the smallest metal drills available. The individual drills are as shown below. A key feature is that the shank is much bigger than the cutting part. This means they can easily be held in a conventional Jacobs type chuck. The small coloured plastic ring has the size of the drill pressed into it. Ideally the smaller the drill the higher the speed it should be used at. But these drills will work at quite ordinary speeds. 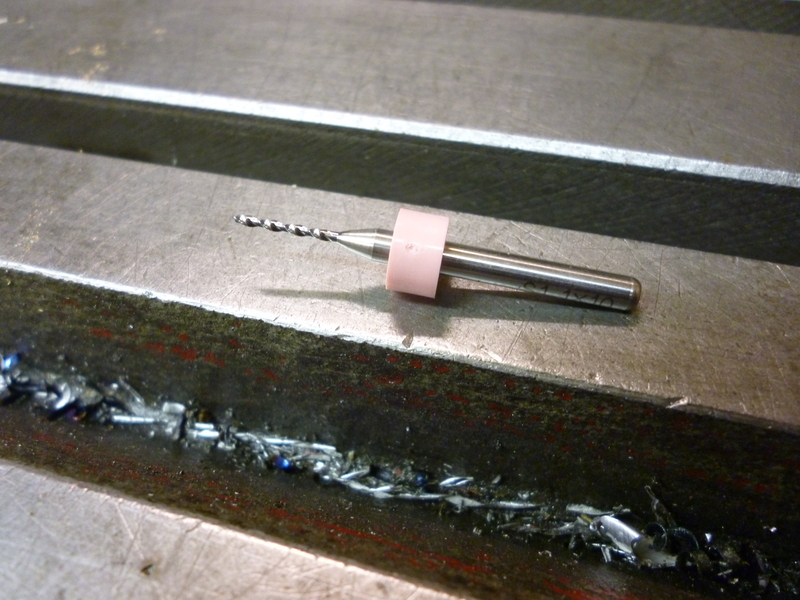 The problem with these drills is that they are made of carbide and, consequently, are very brittle. If they are being used to drill a hole and the workpiece moves ever so slightly, without any warning, the drill will break. The solution to this is to clamp the workpiece simply so it cannot move. Where a large number of holes are to be drilled there is a higher probability that the drill will break before all of the holes have been drilled. But a box contains many drills. The strategy, therefore, is the use a drill slightly smaller than required. If it breaks before the job is finished it is replaced with another smaller than required drill. It is only when all of the holes have been drill that they are redrilled with the right size drill.